Israel Holiday Apartments, Holiday Apartments, Vacation Apartments, Holiday Apartments Rentals, Vacation Rentals, London Apartments, vacation rentals, vacation homes in Italy, Spain, Greece, Belgium and more. On the 2nd floor of the "C" building, right at the center of the "Neot-Golf" resort, a spacious suite, with a balcony facing the sea to enjoy the superb view of the mediterranean sea. 70 m� air-conditioned suite, with 2 bedrooms (double bed on each room), living room (with double bed sofa), bathroom and kitchen . Furnished to the full. 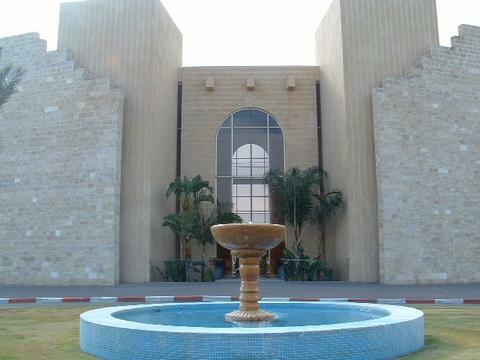 The Neot-Golf Resort a luxury complex with a country ambiance. Garden enclosed resort with the velvety greens of an 18-hole golf course right next door. The sea, sun, light and magic, the combination is remarkable. The Neot-Golf Resort offers boundless attractions with an ideal location halfway between Tel Aviv and Haifa. Among other attractions you can enjoy the resort facilities: Tennis & Basketball courts, 2 Warmed Swimming Pools, 2 kids Swimming Pools, Squash, Fitness room, Sauna. For the kids there are planty of attractions as well including a game park , omega park and mini golf . At the resort there are also a kosher restaurant, a synagogue and barbeque corners. The beach of Caesarea; its unique setting, historic ambience, and sandy expanses attract visitors from all over Israel and the world. This beach is all yours to explore, you can climb aboard a sailboat or journey beneath the sea on a scuba adventure, with beautiful diving areas nearby, easy to explore for snorkellers and scuba divers alike. Above the waterline, your ezholiday4u is just as wonderful. Windsurfing, golf and tennis are three sports that make the most of the generous Israeli sunshine. And for the children, wide range of games and sports activities. If you are looking to travel, you are just at the ideal location halfway between Tel Aviv and Haifa.